L4012VT and Kubota Tractor - Blasters, Inc. This L4012VT and Kubota tractor will be on display at the 2018 ATSSA Show in San Antonio, TX. 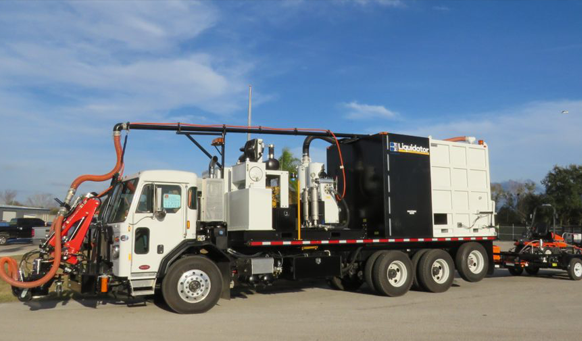 This turnkey setup offers the ability for long line removal, airport runway rubber and paint marking removal, gate cleaning, crosswalks, turn-arrow removal and other unique surface cleaning projects. Call our office @ 813-985-4500 and speak to our experienced staff to schedule a demonstration in your area.